Good morning friends! Happy Monday! This weekend was a special one for me. One of my best friends got married! It was such a gorgeous wedding and fun weekend. I took about a million pictures and I hope to share a few of them, but today I'm enjoying a few leftover bouquets of the stunning flowers from the wedding. 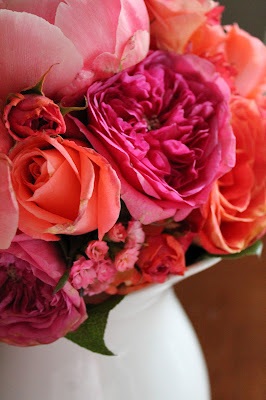 Her colors were coral with hits of pinks and peaches (as you might remember from the shower I threw). 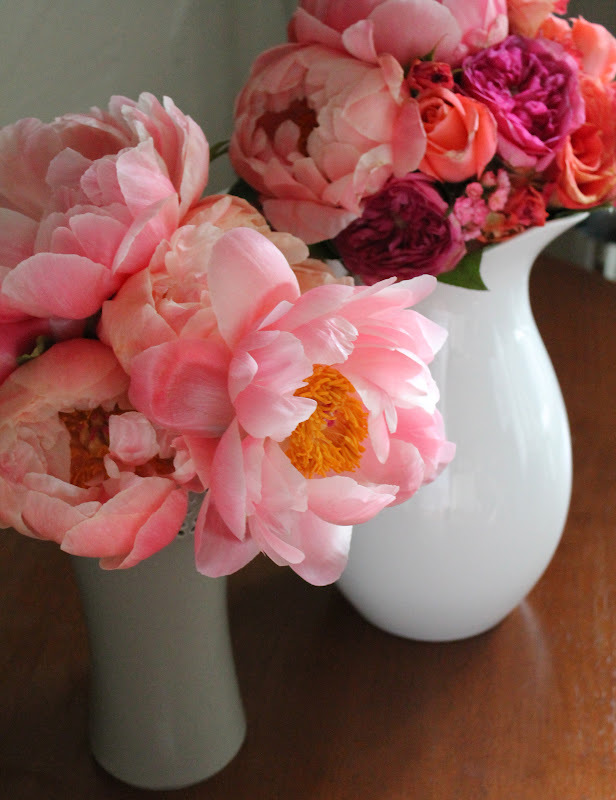 The flowers she chose were all soft blooms like hydrangeas, English garden roses and peonies. It was all breathtaking. I love how the soft petals look in the morning light of my kitchen. Hopefully I'll be back later this week with a few more posts. The weekend was so busy I didn't get to do any blogging (the weekend is usually when that happens), but I have a few fun new things to share with you. Courtney these flowers are so gorgeous; some of my favorites and the lovely shades of pinks and corals!! It is so good to find you! 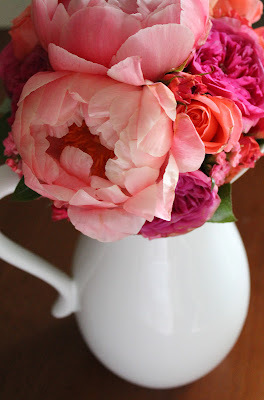 I want to invite you to come and see my interview with Tina from The Enchanted Home! Ah! 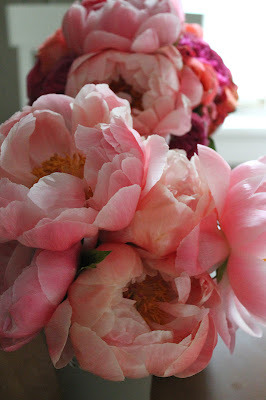 The peonies are so beautiful and so lush, I wish they stayed longer. I have 2 white bushes, 2 pinkish lavender and 1 brilliant ruby red! I could keep my nose in them for hours! Beautiful photography!